From the onset, the founders of CIH had one common mission and goal, and that was for CIH to be significant Black Empowerment players in the mainstream economy of South Africa. Dr. Mokgokong is a co-founder and Executive Chairperson of Community Investment Holdings (Pty) Ltd., a well renowned business figure in South Africa and globally with widespread experience in Healthcare, Academia and Commerce. 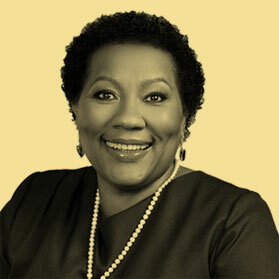 She is recognized as a Senior Director of Companies on the Johannesburg Stock Exchange as she serves on five listed companies namely: Non-executive Chairperson of Afrocentric Investment Corporation, Rebosis Property Fund Limited and Jasco Electronics Holdings Limited and non-executive Director of Companies and first female Director of Shoprite Holdings Limited the largest retailer in Africa as well as Adcock Ingram Holdings Limited, a leading pharmaceutical manufacturer. She also serves on numerous non-listed entities. She has received numerous local and international accolades as a Community and Business leader, including SA Businesswoman of the Year (1999) and one of the Leading Women Entrepreneurs of the World (1998). She has served in numerous councils of academic institutions as well as civil society commissions such as The Independent Commission for Remuneration of Public Office Bearers, where she was appointed as Deputy Chairperson by the former President Mr. Thabo Mbeki (from 2004 – 2009); She was also a Commissioner of the Interim National Defence Force Commission (SANDF) (from 2009 – 2013). She is a social activist and passionate about women empowerment transformation to bring about equality in the economy of South Africa. Recently she was appointed Honorary Consul General of Iceland in Pretoria (2017). Born and raised in Atteridgeville, Joe Madungandaba is an accountant by profession, and an astute business figure in the commercial world in South Africa. He sits on a number of boards of companies, both listed and unlisted, locally and internationally. He is the Group Chief Executive Officer and his keen eye for lucrative business opportunities has enabled the company to flourish and prosper. He is the recipient of the prestigious Black Management Forum (BMF) Manager of the Year Award and has helped shape government policy on taxation, reconstruction and development. He has also chaired the Northern chapter of the Association for the Advancement of Black Accountants of Southern Africa (ABASA). He has studied Commerce at the University of the North (UNISA), Cranfield School of Management (UK) and Wharton Business School (USA). 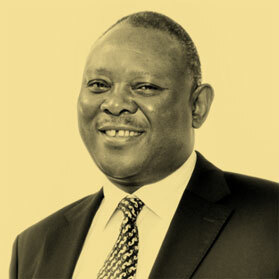 He is a fellow of the Institute of Commercial and Financial Accountants of Southern Africa.